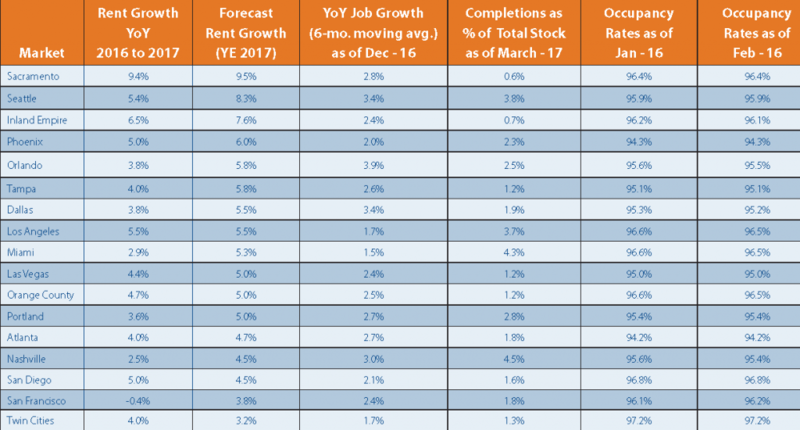 San Diego rounded out the top five markets for year-over-year rent growth for March according to a new report from Yardi Matrix. The region continues to show its strength against economic cooling with new construction and high occupancy. The report highlights strong recorded growth due caused by post-winter relocation and similar factors. The study which looks over 121 markets in the United States, found that nationwide rental growth continued at a 2.7% pace. This upward trajectory was reported as a seasonal trend, in which households relocate once the majority of winter inconveniences including weather impede such change. Looking at trailing 3 months, the report further claims that southern and California metros (including San Diego) actually maintained robust rent growth from relocation numbers, due in large part to milder weather conditions across the Golden State. In the areas of employment, supply, and occupancy, the San Diego region also showed a lot of strong elements. Comparison between the top five metros for rent growth showed that San Diego occupancy through March 2017 was maintained around 96.8%. This places San Diego in second place for highest occupancy rate among the reported 121 metros, being beaten out only by Twin Cities at 97.2%. This strong occupancy may be San Diego’s ticket to maintaining stronger or consistent rent growth as the housing market moves toward any cooling period. According to Business Wire, “Overall rent growth is still relatively sluggish, coming in at half of the growth rate recorded at this point last year, which was 5.4 percent. Rents have declined by 10 basis points since last February.” Jeff Adler, Vice President of Yardi Matrix, further stipulates with Business Wire that this could all change with the advent of economic flux. “We maintain the forecast of a 3 percent increase in rents for the year.” He explains in an interview about the report “The economic climate may influence market projections”. High capacity occupancy continues to drive San Diego into multifamily construction to provide citizen housing. According to data collected by the Real Estate Research Council of Southern California, construction permits over the last year has aimed for predominantly multifamily builds, with single family projects dropping by 23%. 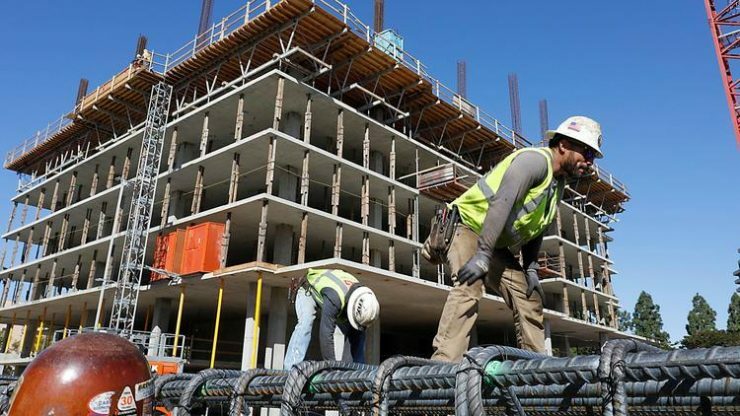 Conversely, multifamily is seeing “the second-largest increase in multifamily construction for the region” says Phillip Molnar of the San Diego Business Journal. Experts on all sides agree that 2017 will see continued construction for single and multifamily residences, but with the majority of permits going to multiple-unit builds. This increased inventory has the potential of lowering occupancy around the region, however to bank on this idea could limit investment potential. Much of the new construction being placed in Class A apartment builds, a category that according to AxioMetrics has seen the lowest national increase in rent growth and only recently broke second of three categories of occupancy rate at around 94.6% (Class B units still maintain a lead in national occupancy of around 94.8%). With consistent Effective Rent Growth and strong occupancy, or Class B at least there is still a great environment to invest. “Multifamily fundamentals remain healthy, with new supply being absorbed and rent growth close to its long-term average” The Yardi Matrix study noted, adding: “Although rent growth continues to decelerate, market fundamentals are stable and poised to continue in the current growth cycle.” Strength in fundamentals and strong occupancy continue to show just how strong the San Diego multifamily market has been and will continue to be.